One year and nine months after I was asked to work on the 13th edition of the Boy Scout Handbook, the book is now a reality. It should be in a Scout Shop near you, and I hope you’ll pick up a copy soon if you haven’t already. 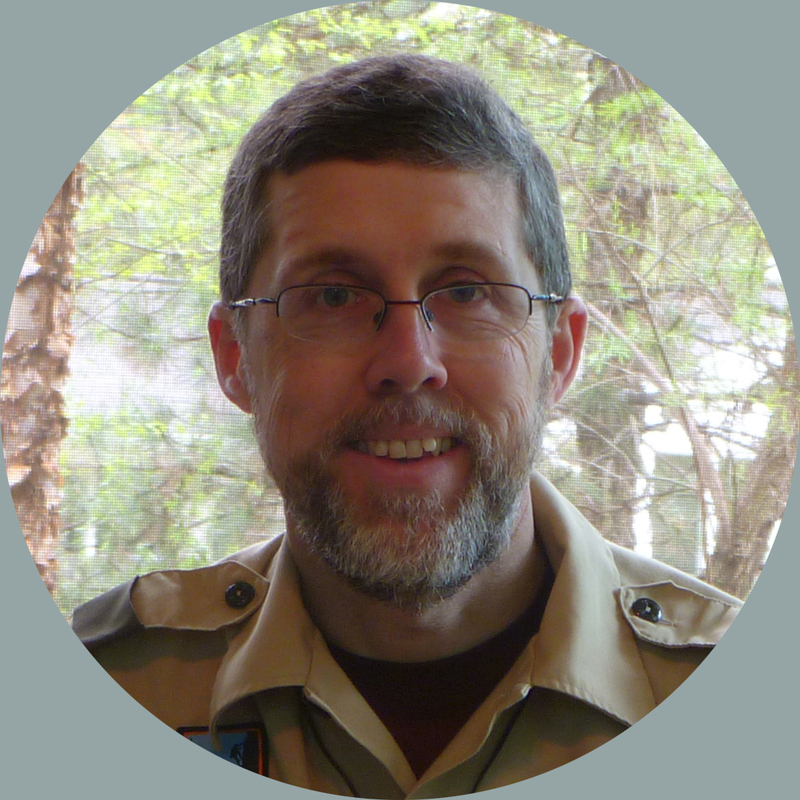 The Chief Scout Executive’s letter (page 3), in which Mike Surbaugh explains how a chance encounter with the Boy Scout Handbook in elementary school launched his Scouting career. That story reminds me that we veterans sometimes forget how magical Scouting can seem to a new Scout. The STEM sidebars. In keeping with the BSA’s increasing emphasis on STEM, we’ve peppered the book with sidebars that illustrate the science, technology, engineering, and math behind what we already do in Scouting. I enjoyed learning and writing about topics like the technology behind sleeping bag ratings (page 278) and the math used in estimating wildlife populations (page 206). The practical camping techniques. I loved having the chance to add information I learned at Philmont about the “bearmuda triangle” (page 285) and the caterpillar technique for climbing big hills (page 250). The fun facts about nature we’ve added to the book. Since a book with national reach can’t possibly give Scouts much nature information that’s specific to their region–most National Audubon Society field guides are bigger than the Boy Scout Handbook–we’ve included tidbits that I hope will whet Scouts’ appetite for learning more. On page 195, they’ll learn about a tree that can live up to 5,000 years; on page 202, they’ll learn about an animal that travels just 55 yards an hour. The information on food safety in the cooking chapter, including a discussion of the difference between sell-by, best-before, and use-by dates (which many adults don’t understand). I’ve seen enough questionable cooking practices on campouts to know this and other food-safety information is definitely needed. 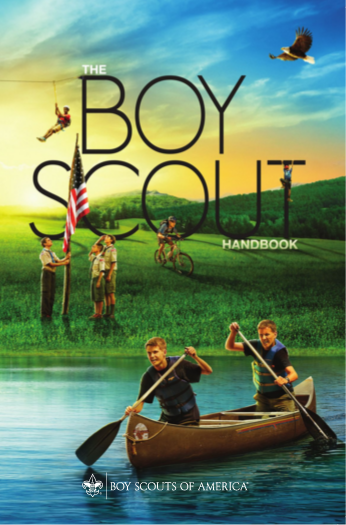 The advancement sidebars throughout the book, which draw direct ties between what Scouts are reading and specific rank requirements and merit badges. I hope these sidebars will prompt Scouts to pursue merit badges they’ve never considered earning. My name on page 466. Okay, that probably only matters to me, but it still goes on the list! By the way, Mike Surbaugh is not the only person whose life was changed by the Boy Scout Handbook. Nobel Prize winner E.O. Wilson, the father of biodiversity, credited his interest in science to the book. 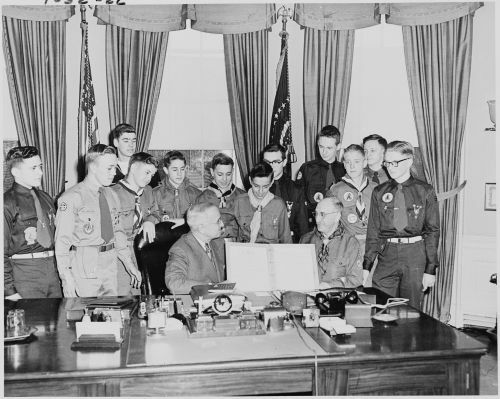 It’s fun to imagine how the new edition could impact the lives of today’s Scouts the way previous editions impacted Wilson, Surbaugh, and millions of other Scouts. Everybody knows what a matchbook is, but what is MatchBook? It’s a new program from Amazon.com that lets you buy–at a steep discount–a Kindle version of a book you’ve ordered on the Amazon website. It’s a great way to have your cake and eat it too! By the way, if you haven’t discovered this yet, Kindle books can be read on a Kindle e-reader (of course) but also on PCs, Macs, smartphones, and tablets using free Kindle software. I love reading e-books in the Kindle app on my iPad. In honor of Scout Week 2014 (February 2-8), take 25% off your order at EagleBook.com. Just enter coupon code SCOUTWEEK14 at checkout. Happy birthday, Boy Scouts!